The Easter Road manager says he wants to make Hibs a tougher proposition. Hibernian boss Pat Fenlon has admitted that his players let fans down with their cup final defeat but asked supporters to show faith next season. 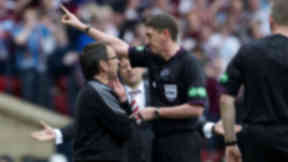 Hibs lost the Scottish Cup final to Hearts in a humiliating 5-1 defeat and Fenlon said that he shared the pain felt by the club’s fans over the loss to their Edinburgh rivals. “I’ve never felt as low in my life as I did when I left Hampden that day,” he told Hibernian TV. 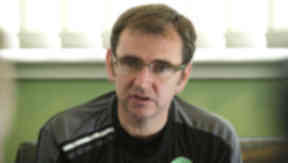 Fenlon said that he could see why some fans may not be excited about the team’s prospects in the season ahead but said that their backing was essential for success. He explained: “I understand [fan’s feelings] and I understand the frustration and disappointment of the supporters. He added that he was working to recruit new players who would made his side more difficult to intimidate. “We’re working very hard to try and get the right type of player into the club,” he said. “We want to put a bit of steel into the place, a bit of resolve, a little bit of nastiness, so we’re not easily turned over.